Inmates are overdosing on opioids in Ohio jails. How do they get access to drugs? Major Chris Ketteman says the Hamilton County Sheriff’s Office is doing its best to keep drugs out of the Justice Center after three overdoses in the last six months. CINCINNATI — Major Chris Ketteman says the Hamilton County Sheriff’s Office is doing its best to keep drugs out of the Justice Center after three overdoses in the last six months. “In the old days, we were worried about tobacco coming in. This is a much more serious problem,” said Ketteman, who’s in charge of Justice Center operations. The sheriff’s office says it is continuing to investigate the apparent overdose death of a 31-year-old Satwinder Singh in March. Singh was accused of driving while intoxicated, swerving onto a sidewalk and killing a 2-year-old boy in a stroller in January. Last November, two other inmates in custody at the Justice Center also overdosed. Deputies revived both inmates with Narcan and they survived. More than 30,000 people come through the Justice Center every year and deputies follow a very strict procedure to make sure inmates don’t bring drugs into the jail. Ketteman said the screening process inmates go through before entering the jail includes everything from a patdown to a strip search to a full-body X-ray scan and the use of narcotics K-9s. The problem is not unique to Hamilton County. In August 2018, an inmate at the Ross Correctional Facility in Chillicothe, Ohio apparently overdosed from a mixture of heroin and fentanyl, sending 27 exposed staff members to the hospital. 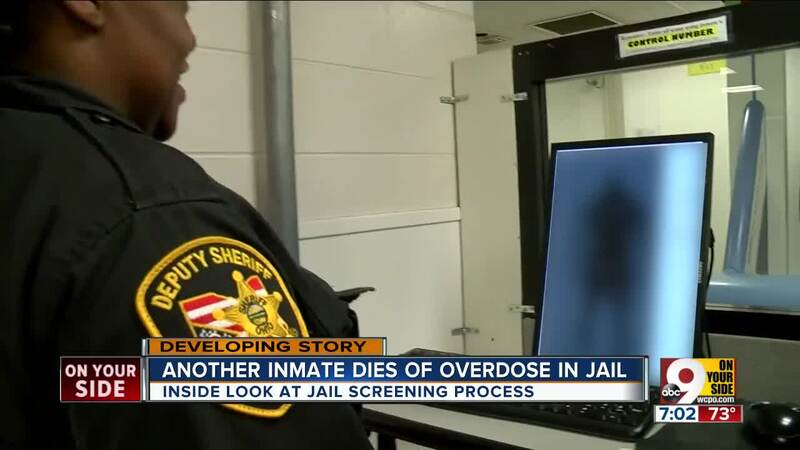 Last week, an inmate at a jail in a Cleveland suburb died after a suspected drug overdose. “When there’s a will, there’s a way,” said Sarah Manchak, criminology professor at the University of Cincinnati. Opioids have changed the game, Manchak said, pointing out that addicts need less of the substance to get high. “It’s much easier than trying to smuggle in some of the other drugs of the past where larger quantities are needed,” Manchak said. Ketteman said the trick to preventing smuggling is to constantly adapt. Singh’s case is an ongoing investigation.